April Kim is a member of the British Fertility Society and specialises in treating infertility. Whether you want to conceive naturally, or use IVF, acupuncture and Chinese herbal medicine can significantly increase your fertility. Preparation for pregnancy can begin months prior to conception. If both partners adopt a preconceptual healthcare programme including fertility acupuncture and Chinese herbal medicine for at least 3-4 months prior to conception, it is possible to have an impact on the health of both the egg and sperm and reproductive outcomes. Even a six week fertility acupuncture programme prior to commencing IVF or fertility acupuncture treatment is beneficial. During this period, April Kim may prescribe Chinese herbal remedies, which are approved by the UK Register of Chinese Herbal Medicine. April Kim recommends weekly acupuncture for the women from the first day of medication through to embryo transfer. Where there is no male factor infertility, April Kim recommends a single fertility acupuncture treatment for the male prior to egg collection to relieve anxiety. Where there is male factor infertility, a fertility acupuncture programme is recommended for the male to optimise sperm quality, motility and count. April Kim recommends a fertility acupuncture treatment before and after embryo transfer to improve pregnancy rates. Ideally, this is recommended on the same day as close to your embryo transfer appointment. April Kim recommends one or two fertility acupuncture treatments during the two week wait period before you take a pregnancy test. This is primarily to support you emotionally, to ease anxiety and promote relaxation. April Kim recommends weekly acupuncture treatment during the first trimester, up to week 12/13 as there is a higher risk of miscarriage in IVF induced pregnancies. The treatments are gentle and supportive and help promote a healthy pregnancy. 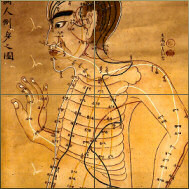 April Kim offers acupuncture during pregnancy programme to support all stages of pregnancy. Contact April Kim to learn more.